My husband makes this bread. It has crusty skin, soft center and a beautiful smell. The recipe does not contain eggs or cow’s milk. I am sure you will enjoy it. 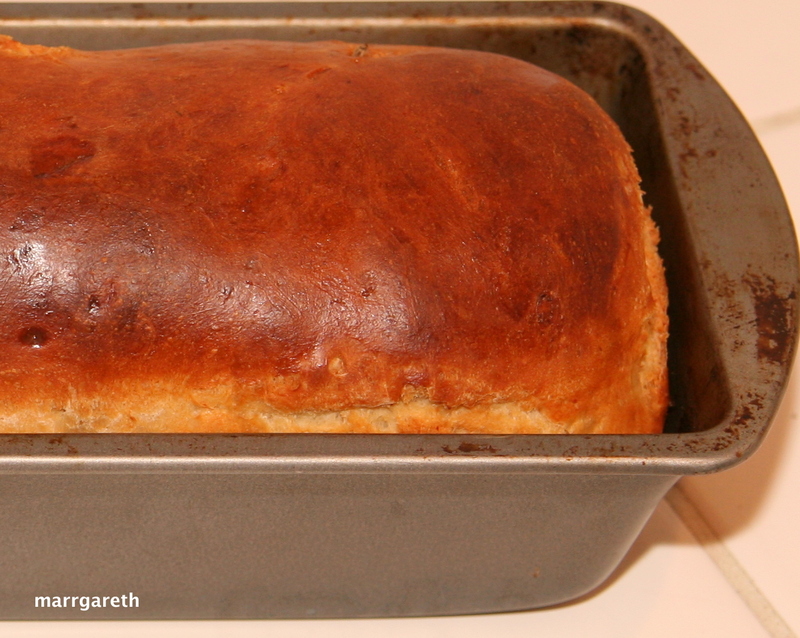 2 tbsp soy milk to brush the bread before baking. Put the flour into a large bowl. Add yeast, salt and mix with a spoon. Pour in the water and oil. The water shouldn’t be hot otherwise the dough will not rise! 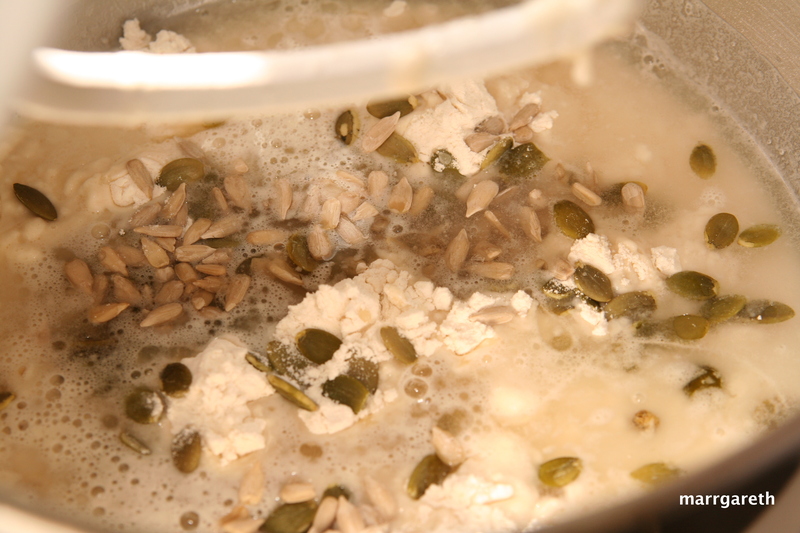 Add pumpkin and sunflower seeds. Knead the dough until smooth and elastic. We knead the dough in a big, metal mixer. 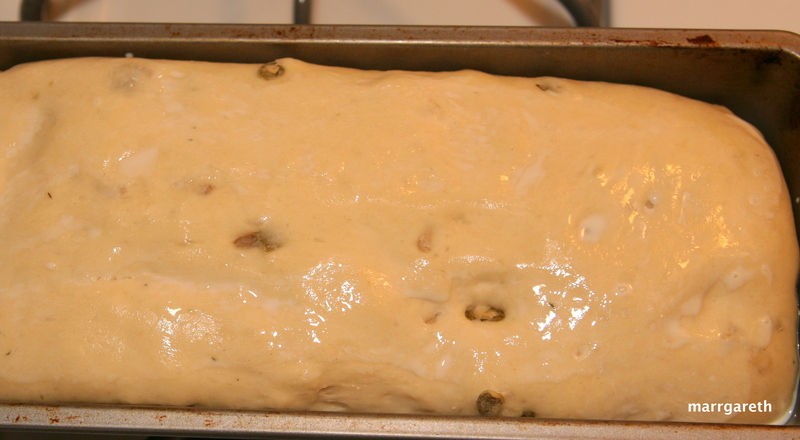 Sprinkle the dough with flour, place in a bowl. Cover the bowl with cotton cloth and leave in warm place for 1 1/2 hours or until the dough doubled in size. Grease a form with oil. 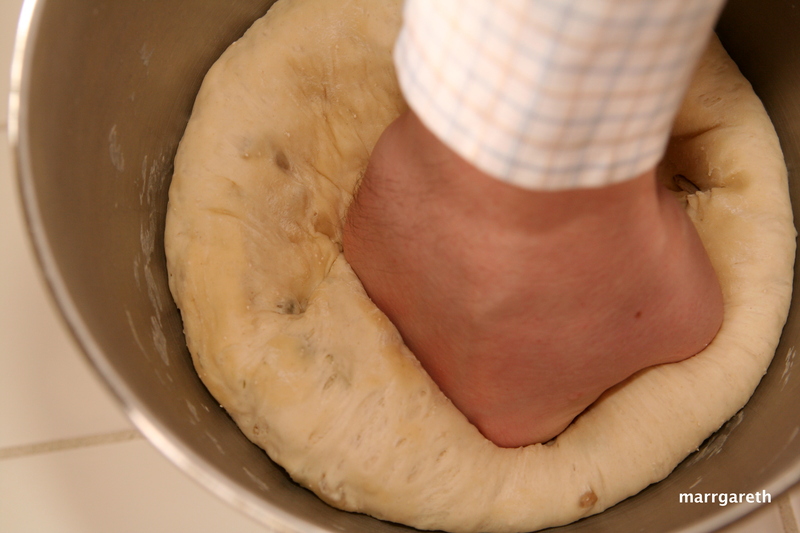 Punch the dough down a few times with your fist . Form the dough to fit the form. 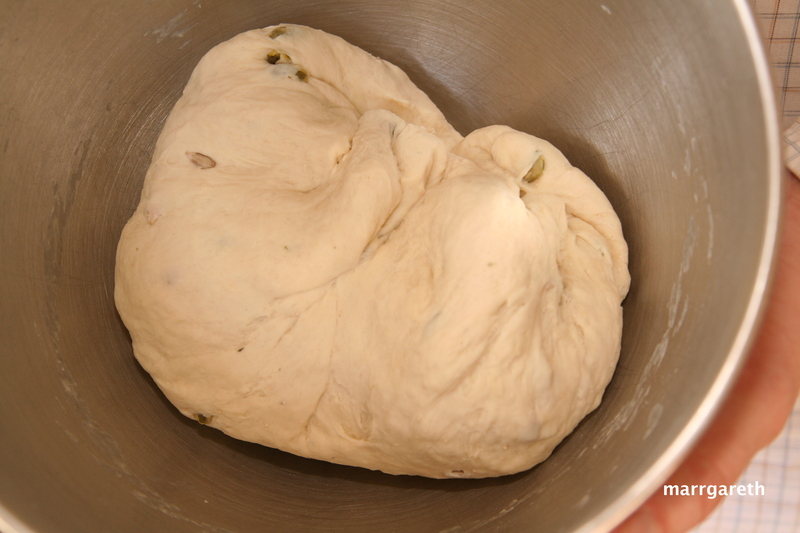 Place the dough in the form. Cover with cotton cloth and leave in a warm place to rise for 30 minutes. Brush top of the dough with soy milk. Bake in preheated oven at 230 °C (450 °F) for 35 minutes. 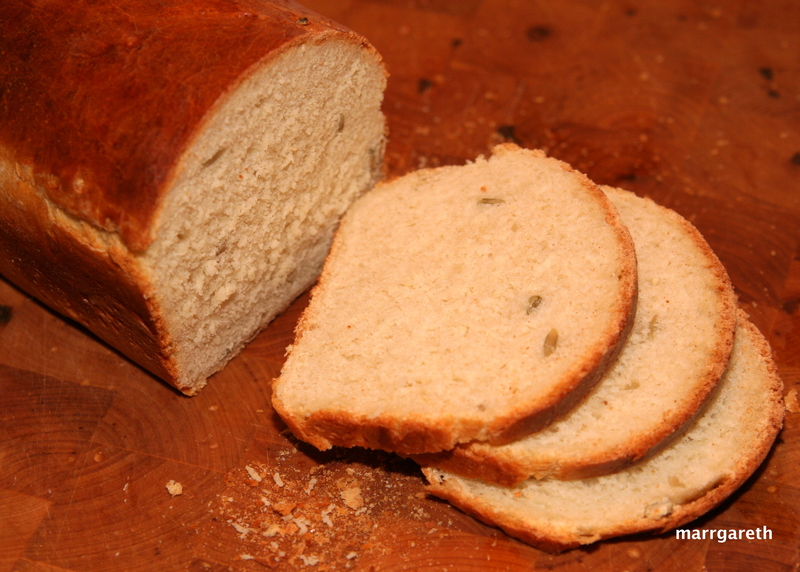 Remove the loaf from the form after baking and tap the bottom of the loaf to see if it is baked, it should sound hollow. 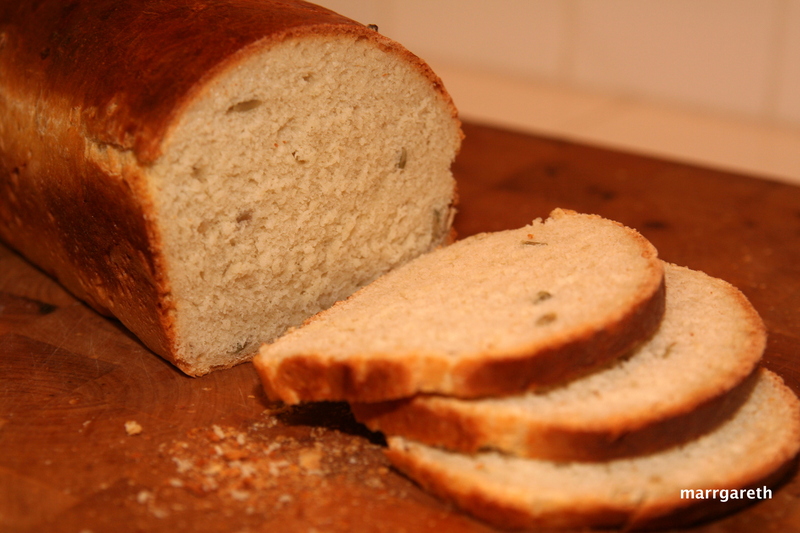 This bread looks delicious, doesn’t it? You are very welcome littlepocketsofhappiness.